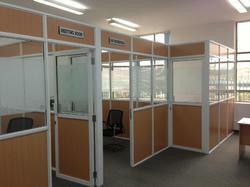 Providing you the best range of Aluminium Partition such as Aluminium Cabin Partition and Aluminium Office Partition with effective & timely delivery. With our decade of experience, we are catering to the varied requirements of our clients by introducing quality array of Aluminium Cabin Partition. Used in official and commercial sectors to segregate the area in different partitions for various reasons, this cabin is constructed by using high quality aluminium in line with set industry quality standards. The offered cabin is widely demanded in the market owing to its high quality, robust construction and reliability. 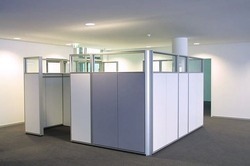 Riding on unfathomable volumes of industrial expertise, we are offering an interesting range of Aluminium Office Partition.